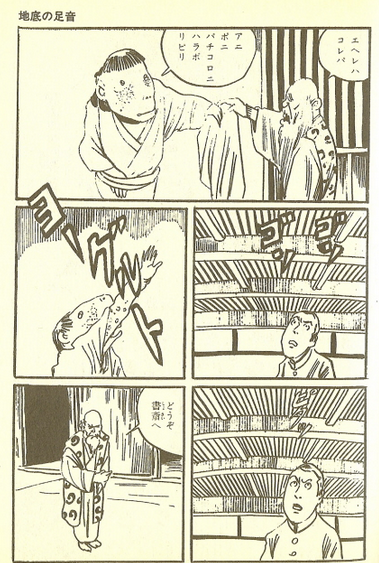 It should come as no surprise that Shigeru Mizuki is well versed in world horror and weird fiction. Beneath his beneficent smile and charming penchant for cheap hamburgers lies the brain of one of the world’s great expects on mythology, folklore, and the weird world of monsters. 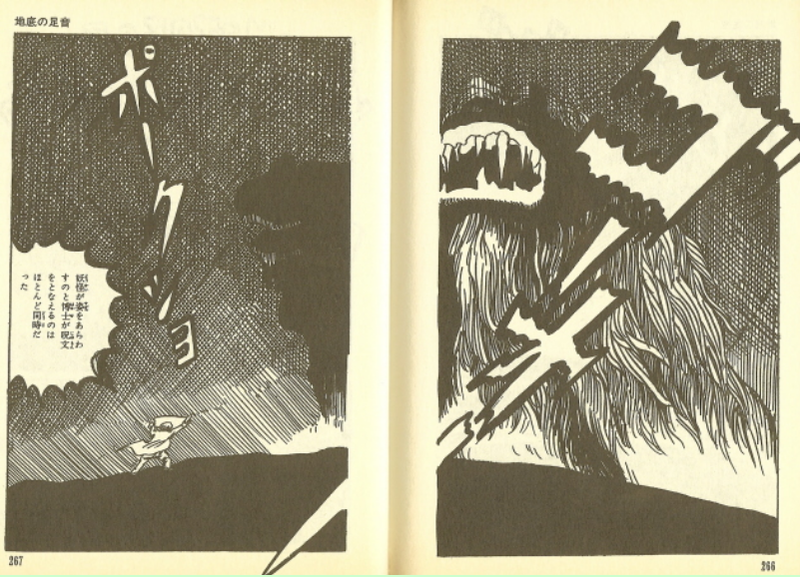 His love for Western horror comics has been demonstrated (See Mizuki Shigeru and American Horror Comics), and adaptations of classic horror tales pop up all over his work; either shoehorned into his famous comic Gegege no Kitaro or as straight adaptations in their own right. 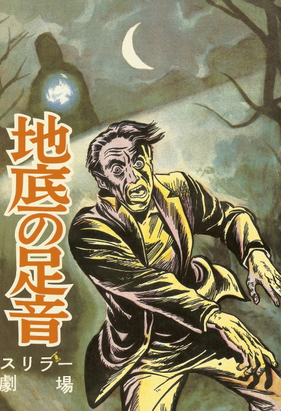 Mizuki owned the book series Sekai Kyofu Shosetsu Zenshu (世界恐怖小説全集; The Complete Collected Short Fiction of World Horror Stories) which formed much of his education on world horror and weird fiction. The multi-volume series collected horror classics from all over the world, including French and Russian literature as well as American pulp fiction. Mizuki became acquainted with H.P. Lovecraft through this series. 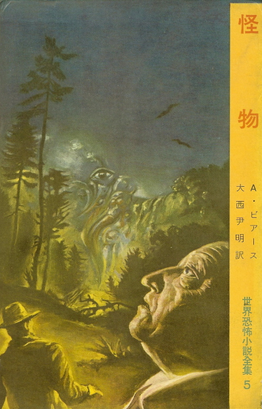 He first read the story Dunwich no Kai (ダンウィッチの怪; The Dunwich Mystery) in volume 5, which collected tales of kaiju (怪物; monsters). 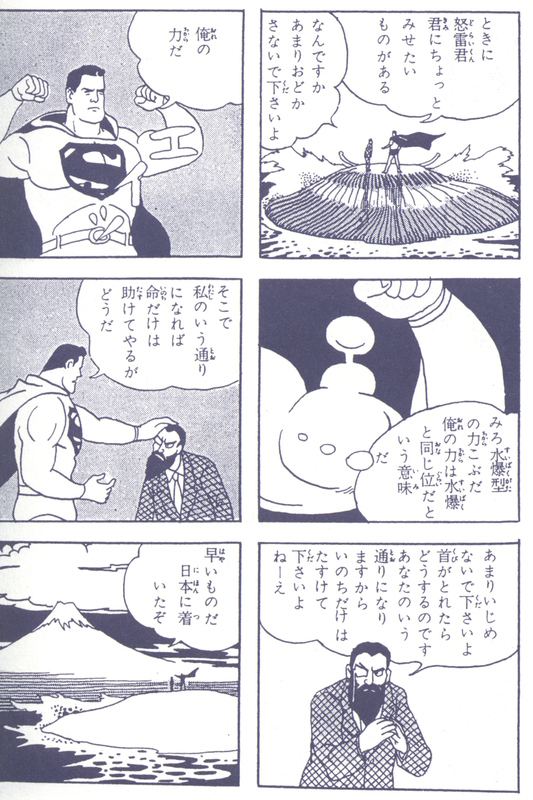 The tale stuck with Mizuki, and in 1962, he adapted it for the rental manga market, in a 300+ page comic published by Bunhana Bookshop. 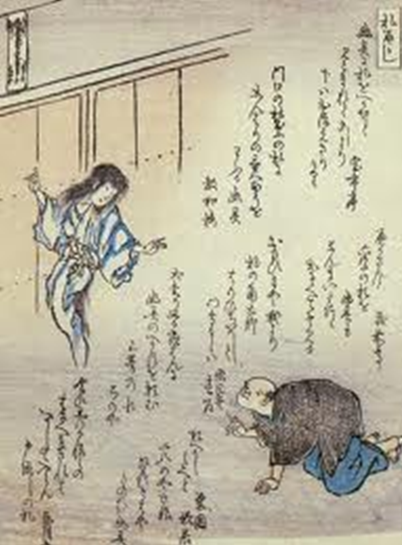 Mizuki retitled the story Chitei no Ashioto (地底の足音; Footsteps from the Depths of the Earth). It is a more-or-less straight adaptation, although Mizuki made a few alterations, presumably to make it easier for a Japanese audience. Perhaps the strangest change of all, however, is that Adachi Hibisuke’s otherworldly father is no longer the dread Yog-Sothoth, but is instead the monstrous—Yokai Yogurt! 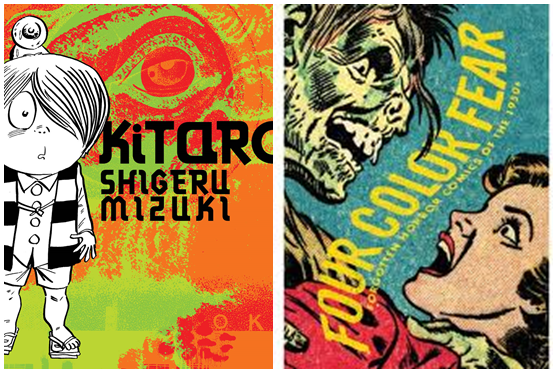 Along with Lovecraft, Shigeru Mizuki adapted many other classics of world horror and weird fiction. His works include versions of Joseph Sheridan Le Fanu’s Narrative of the Ghost of a Hand, HG Wells’ The Crystal Egg, Richard Matheson’s Blood Son, F. Marion Crawford’s The Screaming Skull, and Arthur Machen’s The Novel of the White Powder. All these treasures lie hidden in musty old bookstores in Japan, just waiting for someone to discover them. My first post in a loooooong time! If you keep up with me on Facebook and Twitter, you know that I have been supremely busy lately and haven’t had time to make new posts for Hyakumonogatari. But I got talking to some people about Mizuki’s adaptation of The Dunwich Horror and figured I could squeeze in a post! 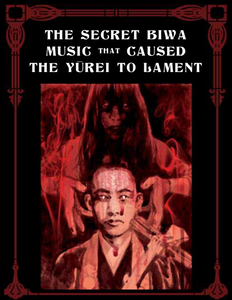 As for what’s been keeping me busy—well, hopefully you all know that my book Yurei: The Japanese Ghost is coming out in a couple of months. I have been working to make the final edits and get the book design perfect, as well as attending various conventions in support of the launch. If you haven’t already pre-ordered it, PLEASE do so! I need as many preorders as I can get to show booksellers that there is an audience for this kind of work. I also have the next volume of Mizuki Shigeru’s “Showa” series coming out, Showa 1939-1944: A History of Japan (Showa: a History of Japan) (a book which you would also PLEASE preorder!). The first volume in the series was nominated for an Eisner Award for this year, which is a VERY BIG DEAL! 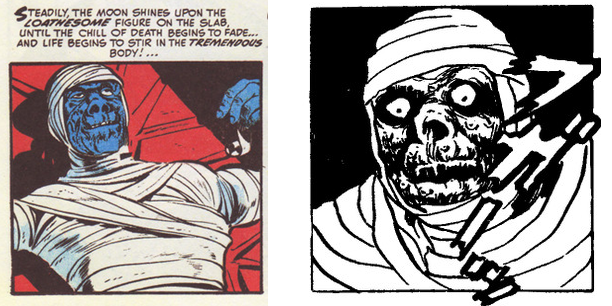 If you aren’t familiar with them, the Eisner Awards are kind of like the Oscars for the comic book world. Even getting nominated is very exciting. And finally, as was announced at Sakura Con this year, I am translating Satoshi Kon’s manga for Dark Horse Comics. This is very exciting, as I am a huge fan of Kon’s work! Look for announcements on those comics coming soon! Oh! And if you are interested in reading Mizuki’s Chitei no Ashioto, it was recently re-released as part of the Mizuki Shigeru Complete Collection. You can buy it off Amazon.co.jp, but its in Japanese only; for the time being, at any rate! Fingers crossed! 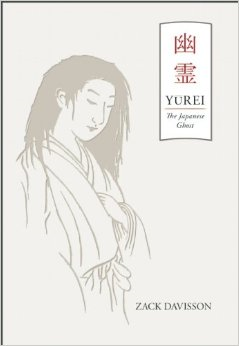 I am proud to announce that my book Yūrei: The Japanese Ghost is finally available for preorder! This book is the culmination of more than eight years of research, including work done for my MA thesis for the University of Sheffield. 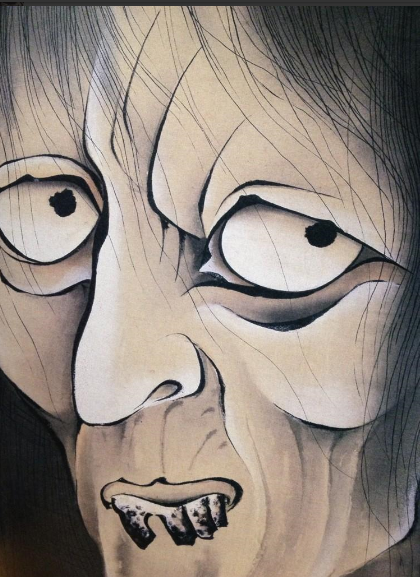 It is a deep dive into the history, folklore, religion, and culture behind Japanese ghosts—yūrei. In other words, if you have ever wondered about the pale girl in the white kimono with the long black hair, dripping water—this will give you all the answers. 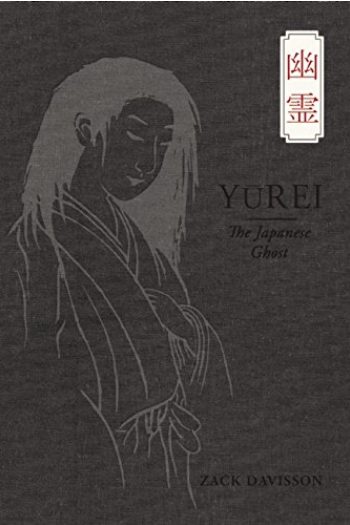 Unsurprisingly, Yūrei: The Japanese Ghost is about everything to do with yūrei. 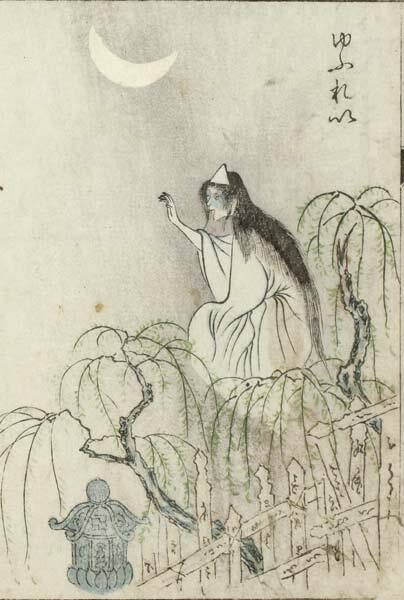 The book begins with Maruyama Ōkyo and his famous painting, The Ghost of Oyuki. 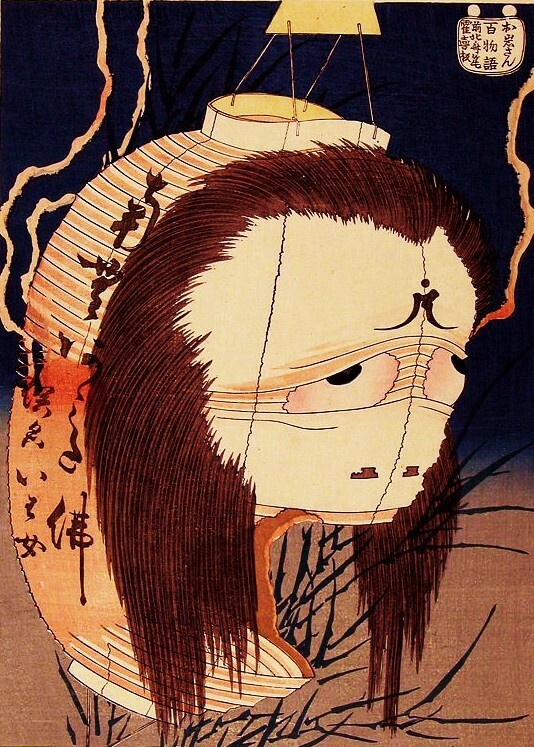 Then we dive into the Edo period kaidan boom that set the stage for Ōkyo’s painting, and examine the influence of kabuki on yūrei and why they look the way they do. Next Lafcadio Hearn takes the stage with his Rule of the Dead, and we take a tour of the Japanese afterlife and the World Over There. We learn why Heian period Japanese aristocrats worried so much about their final thought, and hired zenchishiki to mid-wife them to death. 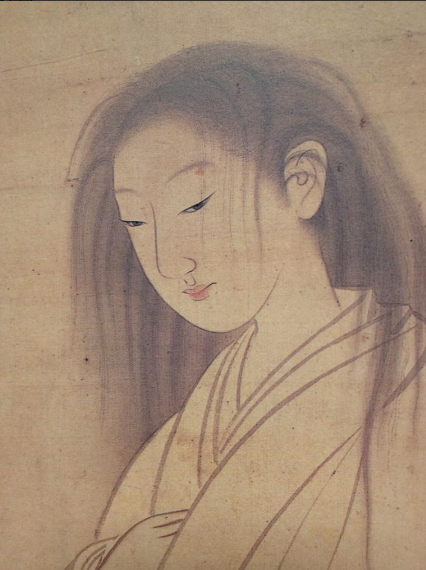 Next we meet the San O-Yūrei—the Three Great Yūrei of Japan; Oiwa, Otsuyu, and Okiku. Then it is Obon, Japan’s festival of the dead, and finally we meet the warrior ghosts of Japan in noh theater and hear some Tales of Moonlight and Rain. I modeled the book after Carl Sagan’s Cosmos, telling the stories of the people and history behind the various yūrei legends as well as the yūrei themselves. 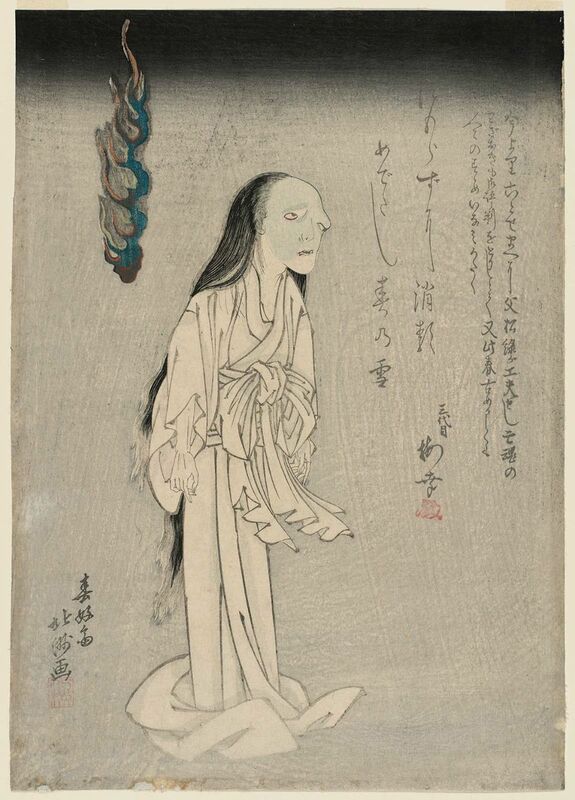 We will meet the painter Maruyama Ōkyo, the kabuki playwright Tsuruya Nanboku IV, the Confucian scholar Hayashi Razan who invented the word kaidan, and the Buddhist priest Asai Ryōi who wrote one of the most famous Japanese ghost stories of all time, Botan Dōrō, called The Tale of the Peony Lantern. 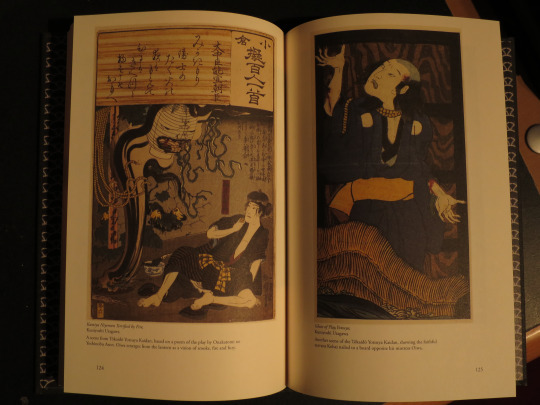 The book intertwines these stories with the story of the yūrei, showing how the concepts developed over time and how Japan changed to encompass new beliefs in the supernatural. 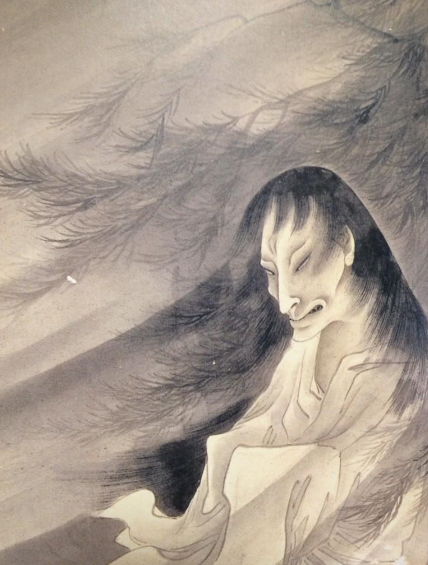 Are there Japanese ghost stories in Yūrei: The Japanese Ghost? Of course! Although that is not the main focus. I like to say it is a book about Japanese ghost stories not a book of Japanese ghost stories. So this is far more than just a collection of tales. But you will get lots of my translations in here. 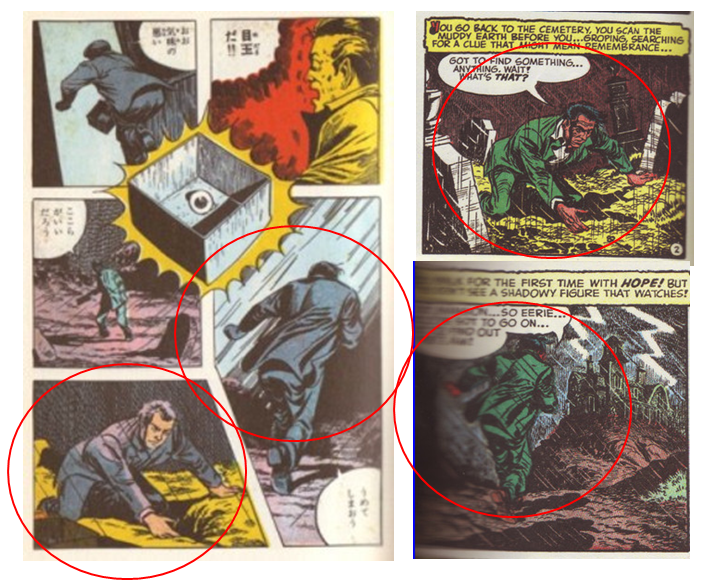 Are there pictures in Yūrei: The Japanese Ghost? Absolutely! We are still working on the details for this, but I plan to pack the book with as many yūrei-e as I can! Will the book look cool? Oh yes! The book itself is going to be amazing. My publisher, Chin Music Press, specializes in making cool physical books. They believe the best way to compete in the modern digital market is the make the physical book stand on its own as a piece of book art. 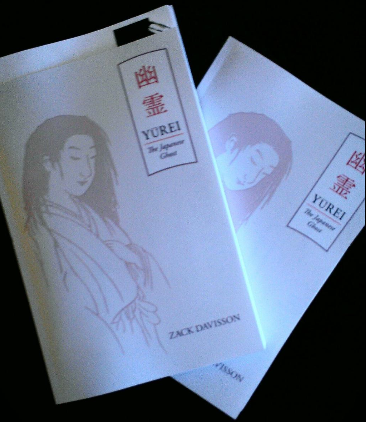 Clothbound with an embossed cover— Yūrei: The Japanese Ghost is going to look tremendous on your book shelf. And now my pitch! If you are planning to buy my book at all I encourage you to preorder it. You’ll never have a better price on the book than right now, and you will have time to save before you actually have to pay! Plus you will be doing me a huge favor. In the modern publishing world, preorders are king. The amount of preorders indicates interest to publishers and retailers. Retailers use preorder numbers to determine how much they will order and market the book. The publisher uses retailer orders to determine how large the print run will be. This is especially true of a first-time author such as myself. I’ve been translating and writing for free here on hyakumonogatari.com for more than six years. If you have been enjoying reading the site I would appreciate your support for my book! And I know you will love it!